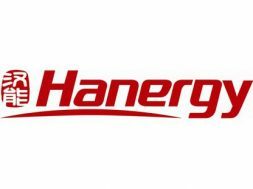 Beijing: The world’s largest thin-film power solution company, Hanergy Thin Film Power Group (0566.HK), adds yet another feather to its cap. As a rightful undisputed leader in thin-film solar power industry, and on the strength of robust development and market performance, the company speeds ahead of its industry peers grabbing the first rank for itself in solar energy sector, while taking up an overall 78th rank (Up from 91st rank last year) among China’s TOP500 Most Valuable Listed Companies released by 21 Data News Laboratories. 21 Data News Lab is a domestic authoritative financial media that summarized the latest market valuation data for the Chinese companies listed on 15 global exchanges like in Shanghai, Shenzhen, Hong Kong and New York. Hanergy happens to be amongst 6 solar energy companies that made their way into the list of China’s TOP500 Most Valuable Listed Companies. Leading with a market value of RMB 144.4 billion, almost triple the value of the second player in the list, Hanergy becomes the only ‘hundred billion’ player in the sector despite all the suffering the sector witnessed in the first half of 2018 owing to the change of government policies and unstable international environment. Since entering into the thin film power generation industry in 2009, the Group has been actively involved in the investment and research of the thin film solar energy technologies, adopted as the Group’s core business. Through continual acquisition of overseas thin film technologies, including Solibro in Germany, MiaSolé, Global Solar Energy, and Alta Devices in the U.S., the Group has acquired Copper Indium Gallium Selenium (“CIGS”) and Gallium Arsenide (“GaAs”) technologies, and at the same time has mastered the manufacturing technologies for globally advanced equipment production lines and their R&D capabilities. These technologies have become part of the competitive advantage for the Group. Hanergy’s solar cells set the world record for conversion efficiency several times, with the newest one being 29.1%. It launched and upgraded handful of consumer products in 2018, including Humbrella, solar-powered umbrella; SolarTank, solar backpack; HanPower, solar power bank, retaining its leading position in mobile energy sector. Subsequently, with the debut of HanTile in April and HanWall in September, Hanergy upped-the-ante of global building-integrated PV segment. 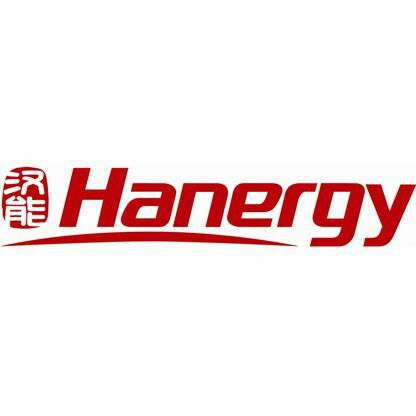 Hanergy recently inked strategic agreements with partners from Australia, Japan, Vietnam, Switzerland, Paraguay, Chile, Oman, Egypt, etc., marking its entry in the global market. Collaborating with Bollore Group, Boeing Group, TAM and China’s local express delivery companies, Hanergy reached further down for a wider application of thin-film solar power technologies. Its solar modules was chosen by NASA for international space station testing, to evaluate Alta’s technology for future NASA low-Earth orbit missions, including powering CubeSats. Constant breakthroughs in the sector have led to steady surge in Hanergy’s market value. Further, Hanergy’s “mobile energy +” model is well in place to promote in-depth integrations of mobile energy and traditional industries, and will result in huge market demand, new business models and potential innovation. Hanergy Thin Film Power Group Ltd (0566.HK) is a Hong Kong-listed company, and a subsidiary of Hanergy Holding Group Ltd. As one of the leading thin-film solar companies in the world, Hanergy Thin Film Power Group Ltd is committed to “Building Mobile Energy”. Since 2009, Hanergy has been working relentlessly to integrate worldwide solar technologies, and making a robust investment in research and innovation in the field of thin-film solar power. Thin film solar technologies have been applied to a series of commercial and non-commercial products, including HanTile, HanWall, HanCar, HanWindow, Humbrella, and SolarTank.